Lauren is a board certified Structural Integration practitioner (fascia expert) with a degree in nutrition and exercise science and certifications in Pilates and Pre/Post Natal Yoga. She has worked with numerous celebrities and professional athletes, and was named by Shape Magazine as one of their "50 Hottest Trainers in America" in 2014. 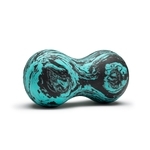 Lauren’s signature technique, named Body Breakthru, is a body transforming, muscular sculpting, stress releasing, fascial remodeling technique that utilizes the foam roller. 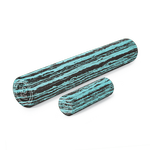 With this method, she has empowered scores of people with the knowledge of how to tone, balance, self-massage and restructure their own bodies. 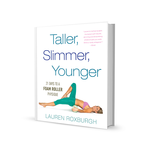 Lauren's book, Taller, Slimmer, Younger: 21 Days to a Foam Roller Physique, features an at-home program focused on sculpting and toning fascia.